Debt can have a negative impact on relationships. Use these strategies to deal with debt as a team and avoid financial stress and conflict in your relationship. For many relationships, constant stress and anxiety over chronic debt can lead to tension, conflict, and even breakup. In fact, 80% of married couples who get divorced say financial problems were one of their main reasons for splitting. 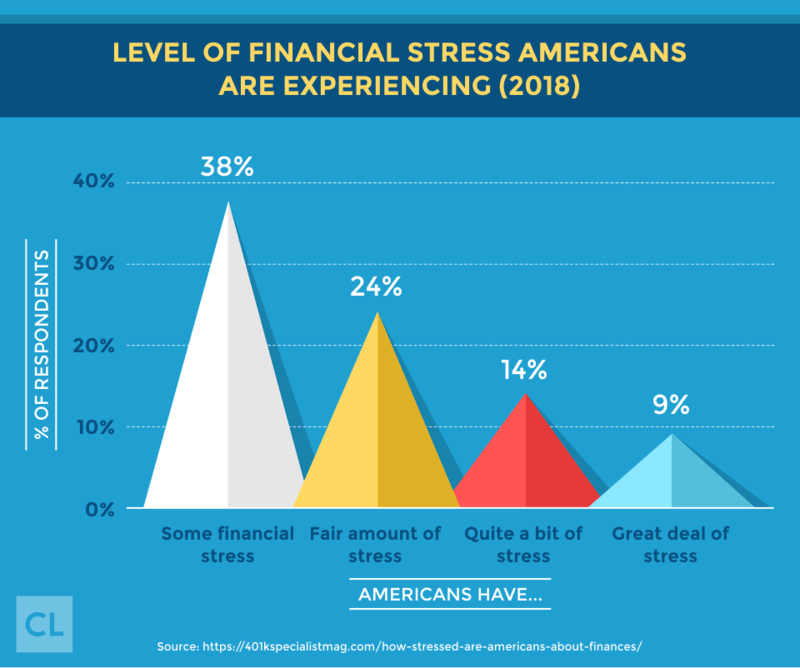 The reality is, debt is a major problem in the U.S. with the average household carrying $137,063 in debt (according to the Federal Reserve's latest numbers). Most debts are manageable with a good repayment plan and consistent installments. But any debt has an impact on your finances, and financial stress can lead to a number of emotional and mental issues. When couples experience this kind of emotional and psychological strain, staying strong together can become tough. Debt can cause one or both partners to withdraw and become cold, while for others it can lead to constant or repeated arguments. Depending on how the debt was accumulated, it could also cause trust issues. Debt can put a real strain on relationships and even destroy them if you don't know how to deal with it. The good news is, while you might not be able to get rid of debt overnight, there are things you can do to protect your relationship against its negative effects. Whether you're just starting a relationship, planning for the future, or have been together for years, debt can sabotage a couple's happiness. One thing that'll happen when two people are getting serious about a relationship is sharing their financial histories with one another. A person's financial history says a lot about them, including how they live, what they've been doing with their lives, and who they are. Debts can be good or bad. Some forms of debt—like student loans or small business loans—are easily accepted as good investments that will pay dividends in the future. Other types of debt—like major credit card debt—is not looked upon so favorably. ‘Till debt do us part. It does happen, and there are lots of stories out there of relationships that were going well but suddenly ended when the reality of one person's debt became clear. Getting into a relationship means sharing everything, and the idea of sharing a crippling debt is a big turnoff for many people. When a couple is experiencing financial problems, it usually means a lot of sacrifices need to be made. Tightening the belt is not pleasant. The path to debt-free independence is not a glamorous one (as anyone who attended our humble wedding reception might tell you). Emotions can run high. Constantly living on a tight budget can cause stress, anxiety, and even anger, as concerns over money take emotional tolls. Negative emotions like regret, resentment toward your partner, depression, and shame can cripple a relationship and render it unsustainable. One of the best parts about being in a relationship is thinking and planning for the future you will have together. A barrier to living in the same place. For some couples, debt can prevent them from buying a house or condo and living together. You can't put off having kids forever. In many cases, couples will delay having children until their financial situations are worked out, which could take decades. The wedding is on hold. It's not uncommon for couples to postpone getting married until they get out of debt and are able to save up enough for a ring and wedding. That can take years, and it's a shame because those are years they could be enjoying life together as a married couple. For a lot of people, talking about money is still a taboo topic. 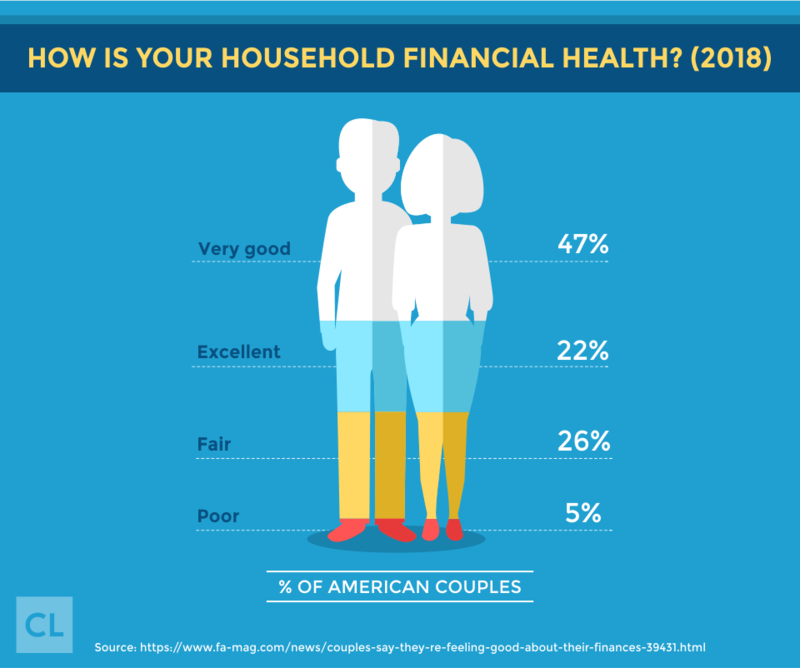 Folks simply don't like talking about it, and many have trouble being honest and open about their finances. "I don't want to talk about it!" Besides the fact that money is already a sensitive topic to begin with, when you have debt, the amount of debt can make discussions worse. Emotions can get the better of a couple, and every time money comes up it can lead to an argument. Silence can be worse than fighting. If couples aren't openly arguing, what results is usually one or both partners withdrawing from one another to avoid the inevitable argument whenever money is discussed. Is Debt a Relationship Deal-Breaker? If debt is a recurring, never-ending problem, it can be a sign of a low financial IQ. Being uneducated when it comes to money is rarely considered an attractive feature in a mate and could be looked at as a real red flag for future problems. The type of debt matters. The actual form of the debts a partner has is very telling. Having $35,000 in student loan debt is a lot different than having $35,000 in credit card debts with little or nothing to show for it. Don't sweat the student debt. Student loan debt is an investment that should, in the long run, result in more money coming through your door. Although it is not uncommon today for even undergraduates without a professional degree to have a six-figure student loan debt, it rarely ruins people completely. You'll come out the other end with an education and at the very worst you might have had to pick up a couple of other loans if you were going for an advanced degree. Medical debt happens. Medical debt is similar, in that it doesn't signal chronic problems with finances. It's impossible to blame someone for spending money on a medical emergency or to maintain their health, especially considering how important being healthy is to having a successful career. Consumer debt is something to think twice about. If your partner has credit card debts they racked up paying for clothes, high-tech gadgets, gourmet dinners, and bar tabs, this could signal a larger problem. Debt is the result of spending more money than you earn, and getting in the habit of putting things you can't afford on plastic is a dangerous and slippery slope. It's not you, it's me. Maybe it's you rather than your partner who has trouble keeping your spending in check or saving enough money for your expenses. Either way, one partner's high debt is a warning sign for relationship trouble down the road due to a lack of financial intelligence, which could indeed be a deal-breaker. Honesty is the best policy (but it's not always followed). It's very common to feel uncomfortable when being open and honest about money troubles, and even more so when opening up to someone you care deeply about. But being honest, especially when it comes to your finances, will prevent any unwanted surprises down the road. "Why are all these collections agencies calling us?" Sooner or later, the ugly truth will come out, and the cover up could be worse than the crime. Dishonesty about money troubles erodes trust in a big way and could easily break up a relationship built on trust. It's all up to you. 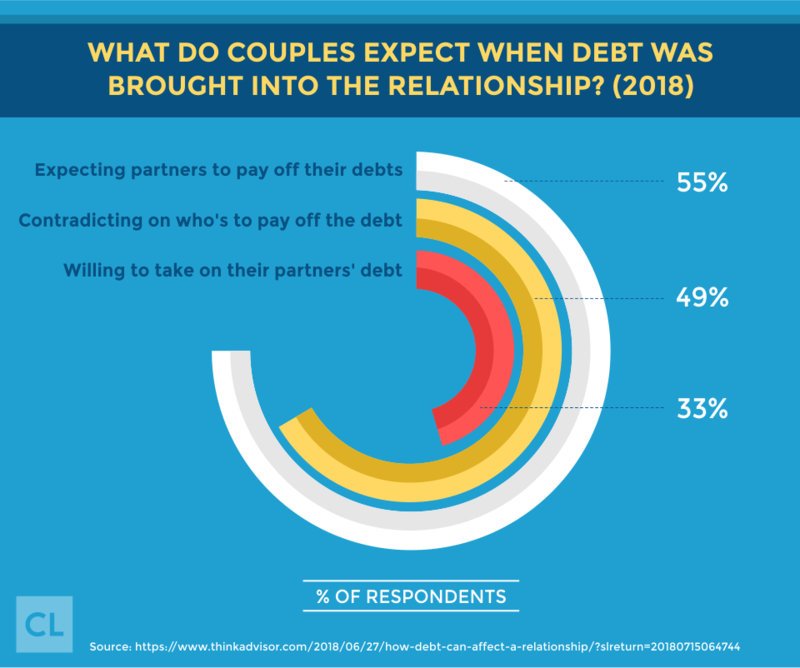 Ultimately, whether or not debt is a relationship deal-breaker depends on you and your partner, the circumstances surrounding the debt, and what you value most in each other. As a couple, you need to recognize the potential damage debt can do to your relationship and head it off strategically. When you both agree to be honest and to approach whatever financial problems you have rationally and as a team, your relationship can weather even sky-high debt, and the unexpected expenses that will come up. The first thing you can do to avoid debt tearing your relationship apart is to completely lay out the details of your combined financials. For each debt, identify what type of debt it is, the total amount of the debt, which partner accumulated the debt, and which partner is paying it off. Put a timeline on when you expect the debt to get paid off. Make note of which debts might be recurring and which are one-offs. Take a financial selfie for each partner. Now put together a comprehensive snapshot of both partners' finances. Include all financial details including credit score, salary, investments, monthly expenses and bills, and assets like a paid-off car. Remember, the decision whether or not debt is a deal-breaker completely depends on you and your partner. This is the point where you need to make that decision. Depending on the stage of your relationship and the size and nature of the debts, you may decide it's over. A woman told her boyfriend she had a student debt of $100,000. It turns out she was somewhat in denial of her actual debt level. After they got engaged and were working on combining their finances, they discovered the actual size of her student loan debt was $170,000. Her fiancée accused her of lying, and even when he was assured she hadn't known how big her debt was, he called off the engagement. Show some mercy for your partner's debt. Keep in mind, most of us have made a bad financial decision from time to time. Circumstances differ in every case, and it might look bad on paper, but the debt might have been absolutely unavoidable. Try to be as understanding as possible. And remember, true love often only comes around once, while debt can be easily paid off when there's a plan and a couple is committed to it. If you both decide you're in this relationship for good, your partner's money problems become your own. It's true a partner's debt incurred before a marriage doesn't legally become yours. But, you will be affected by the need to repay the debt. However, the debt you acquire together as a married couple can affect your credit score. Also, any loans you co-sign for your spouse are shared responsibilities. Even if a debt is technically one partner's responsibility, it's going to affect the quality of life, budgeting, planning, and decision making for both of you. Create a unified front. The way you're going to get rid of the debt is to unite and work together to pay it off. Set financial goals together, be accountable to each other, and most of all don't judge (since that's what often leads to dishonesty, defensiveness, and hiding). Work together to set clear budgets and expectations around how and when the debt should be paid off, and base them on the complete financial pictures you took of each other. Decide as a couple, for example, whether or not you'll tackle an unpaid credit card balance individually, or together. If you're going to be together, you need to plan for your debt-free financial future as a couple. Synchronize your dreams. Both of you probably have your own lifestyle goals and financial targets, so make sure you're on the same page. Ask yourselves how much you want to earn in salaries, and what sort of lifestyle you'd like to be able to afford. Picture yourself with a debt-free future. Determine the age you envision yourselves being debt-free and start thinking and planning for retirement in the near or distant future. Make a plan together and keep each other accountable. Figure out how much you can afford to pay down on your debt each month, and when you have eliminated it, try to put the same amount toward savings. You'll be used to setting that amount aside each month, and might not even notice a change. And celebrate! While debt causes a lot of problems for couples, overcoming debt together can create feelings of relief, freedom, and shared accomplishment. Knowing you stuck together and overcame the challenge of debt as a team is a powerful feeling and something neither of you will forget. Debt can be an emotional experience, with negative feelings ranging from stress and anxiety to anger, shame, and embarrassment. Working together, a couple can turn those feelings around into positive emotions of relief, shared accomplishment, and freedom once debts are paid off. Overcoming debt together is a huge accomplishment and can set the stage for a lifetime of financial success for a couple. Do you have experience with being in a relationship where debt had an impact? Any tips (or nightmares) to share with us?